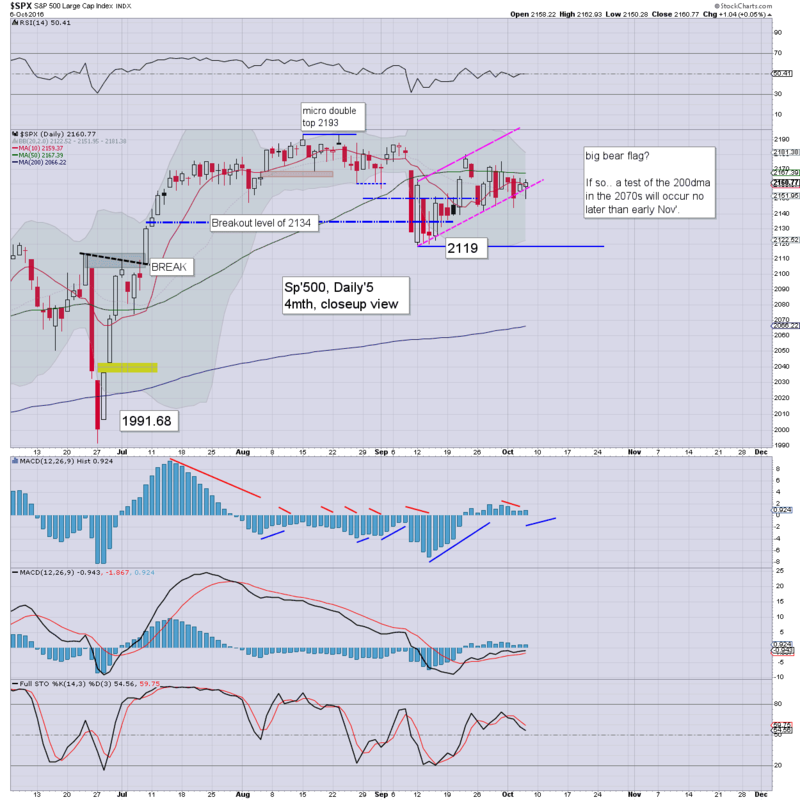 US equities closed broadly flat, sp +1pt @ 2160 (intra low 2150). The two leaders - Trans/R2K, settled u/c and -0.2% respectively. 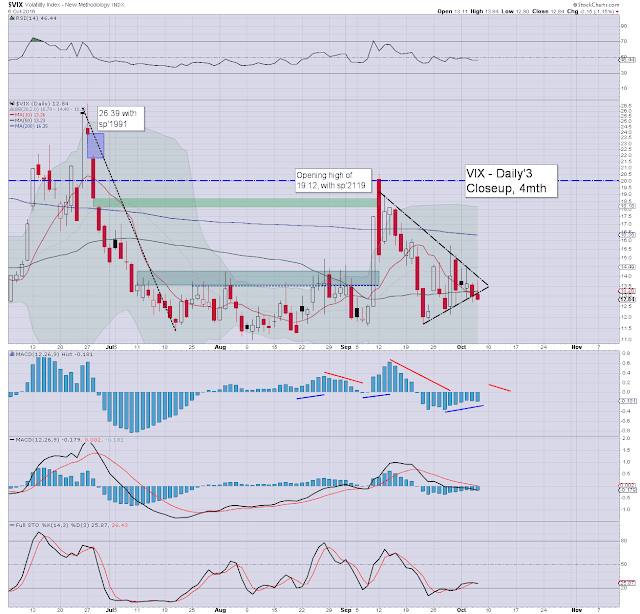 VIX settled -1.1% @ 12.84. 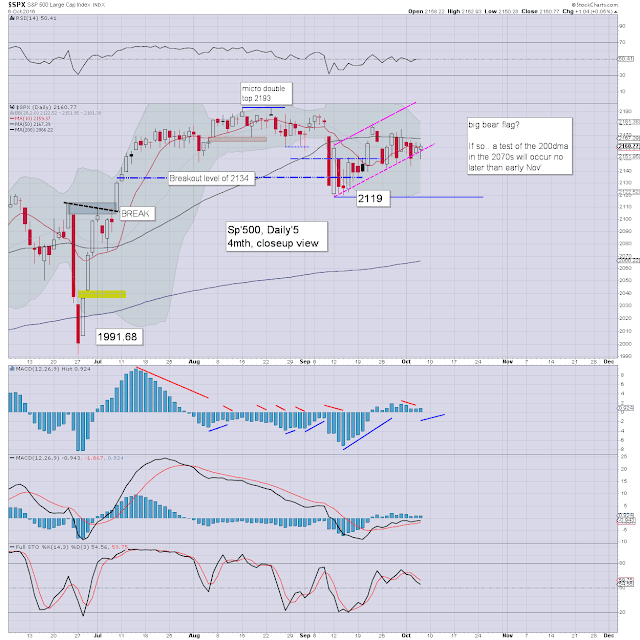 Near term outlook threatens a Friday swing day, with a low of sp'2145/40 in the morning, but still settling the week in the 2170s. 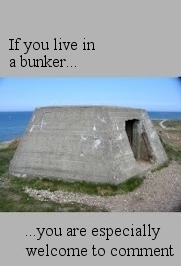 It was not the most exciting of days. A little morning weakness, then a moderate swing higher on some chatter that the ECB won't be tapering QE 'early' after all. 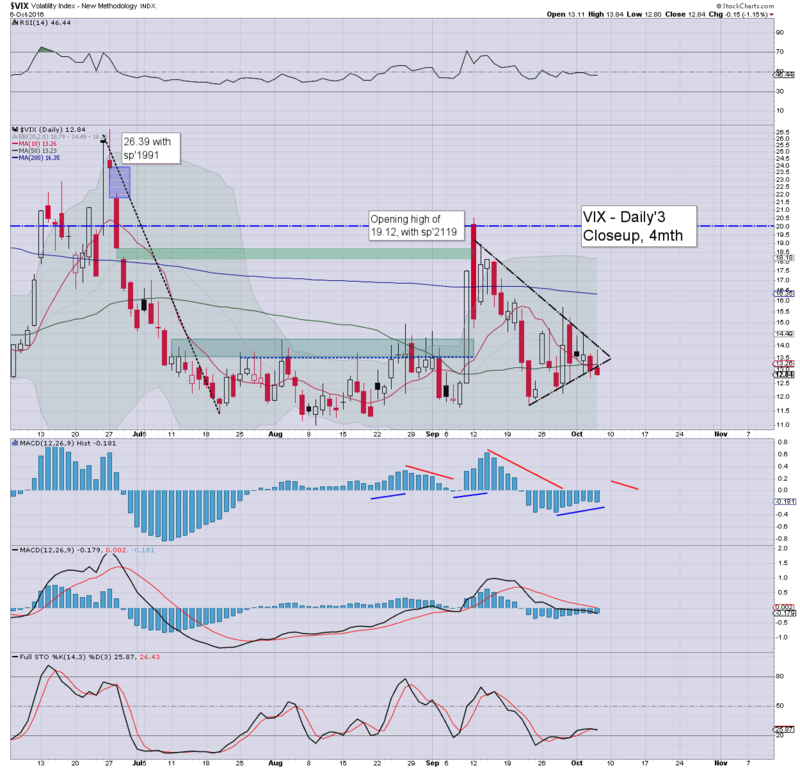 VIX remains broadly subdued, as the US capital markets are very comfortable, which is especially impressive considering the looming earnings, and of course, the election. 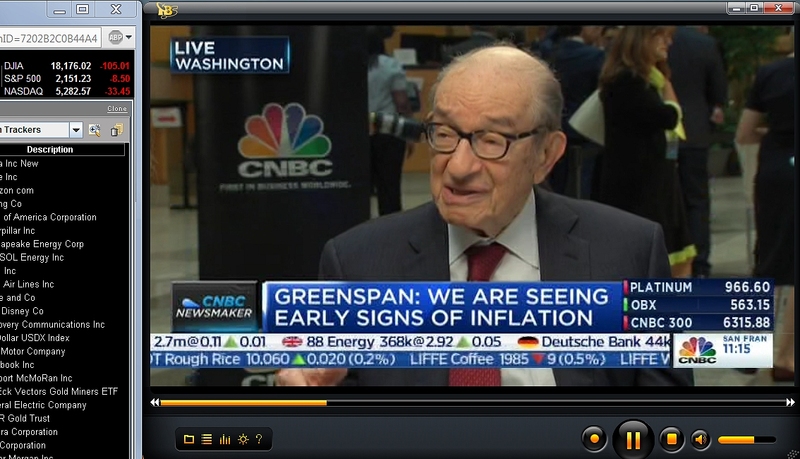 This morning, Greenspan appeared on clown finance TV. Greenspan seemed genuinely concerned that stagflation looms for the US. Growth is clearly not great, the post 2009 recovery has mostly been a case of 'ticking along', whilst inflation has been very subdued. Yet things do change.. and since the equity/commodity lows of Jan/Feb', I've been increasingly wondering if some significant price inflation is coming. In the weeks and months ahead, I'll be sure to regularly highlight commodity prices, especially via the CRB index. Global QE is currently running around $200bn a month, which amounts to a monstrous $2.4 trillion each year. 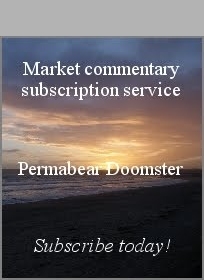 There is no question that some of this 'hot money' is starting to leak into commodity markets. Just reflect on this..... we haven't even reached the stage of helicopter money - whether via a 'basic living income', or just giving money out with the intent to stimulate demand.